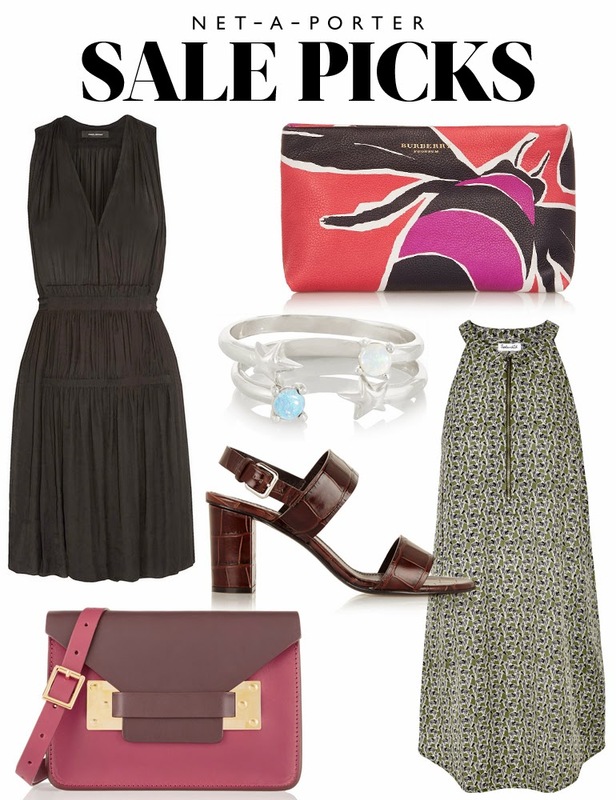 It's that time of year again: the Net-a-Porter End of Season sale! I always look forward to their twice a year sale because it allows me to get a piece (or two) that I've had my eye on for months and lack sufficient funds to purchase! Below are some of the items currently waiting in my cart! Links to each item are above the images. Those are some very sleek sandals, and the bee clutch is adorable. Which do you think you will go for? Oooh, I love that shoulder bag! Great picks! I love the poncho on the left and Burberry clutch! Those would look fun styled together. Best sale of the year! Love your picks! You're bad influence. I kind of like want to go there now and get it all.